21-04-2019: Book an Appointment to view Treasure @ Tampines Condo Show Flat and find out why this treasure in the east is such a hot selling project plus getting Direct Developer Price and discounts! 24-03-2019: Read Straits Times article about the Treasure at Tampines launch which sold 272 units. 27-12-2018: Singapore home prices up 8.8% YOY in Q3. 26-12-2018: Promising outlook in the leasing market in 2019 forecasted. 25-12-2018: New video added. View at Treasure @ Tampines video gallery now. A perennial advocate of “Creative Space and Creating Homes”, Sim Lian Group has created homes for Singapore families for over 40 years. Firstly, Sim Lian Group only constructed homes as a construction company. After it recognized that it can achieve a greater economy of scale and resources sharing, the group expanded its property development arm. Doing so allows companies under the group to have higher synergy and dynamism in their business and the resultant operational and cost efficiency can be converted to savings that can be passed to their customers. Sim Lian Group is widely regarded as one of the top ten developers in Singapore after establishing a diverse portfolio in residential, commercial, retail, industrial and mixed-use developments that share quality workmanship, efficient space planning and prime location as common traits. Led by a strong management team with a strategic long term vision and a culture of excellence, the group has risen through new growth heights and is excited to grow from strength to strength. In its continued growth, Sim Lian Group is focused on furthering fulfilling and trusted relationships with the developer’s esteemed customers and business partners. 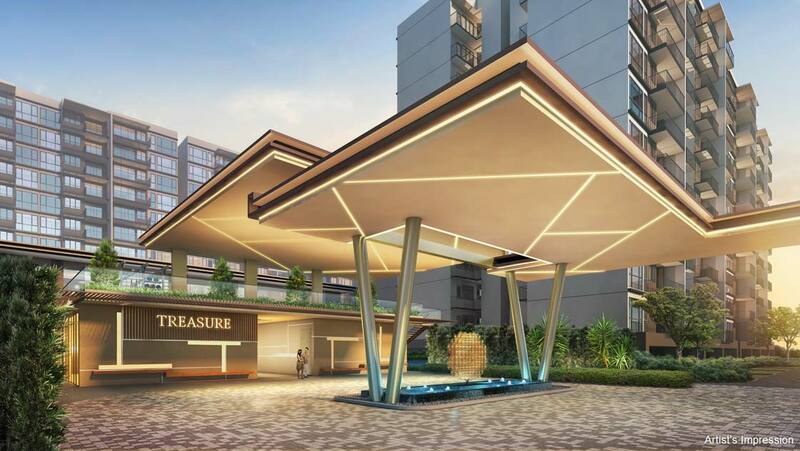 Developed by Sim Lian Group, Treasure at Tampines is a treasure that you do not want to miss out! Treasures at Tampines is nestled in the heart of the Tampines Regional Center. As a regional center, Tampines have plans to develop its unique identity, employment opportunities, transportation network, leisure and recreational facilities, food and retail amenities, and educational institutions for Tampines residents. That is to say, potential homeowners of Treasure at Tampines will be able to tap on these opportunities and resources. Great connectivity defines the commute at Treasure at Tampines. A well-planned network of major roads and expressways such as Pan-Island Expressway and Tampines Expressway provides good access from to to Treasure at Tampines. The new launch condo is also close to East-West Line Simi MRT and Tampines MRT, and the future Downtown Line Station Tampines West MRT for convenient travel. Tampines is known for its top-notch schools from toddler to tertiary level. 2 International Schools also find Tampines home near the condo. Treasure at Tampines is located between two neighborhood centers, Tampines central, Our Tampines Hub and Simei Eastpoint Mall. Treasures at Tampines’s convenient location greatly facilitates a desired curated lifestyle for buyers. At Treasure at Tampines, a fine selection of exquisite residences ranging from 1 bedroom to 5 bedrooms are offered to unlock a curated lifestyle of tranquility and rejuvenation. Contact us at +65 6100 7757 to be informed on the latest Treasure at Tampines price discount scheme we are offering. Do kindly book an appointment here or call us at+65 6100 7757 prior to your visit to the Showflat as we may be closed at certain days/time. Online registrants who have booked an appointment here will be able to receive Direct Developer Discounted Price and need not to pay any commission. Please be informed that units for sale at Treasure at Tampines are on first come first serve basis. 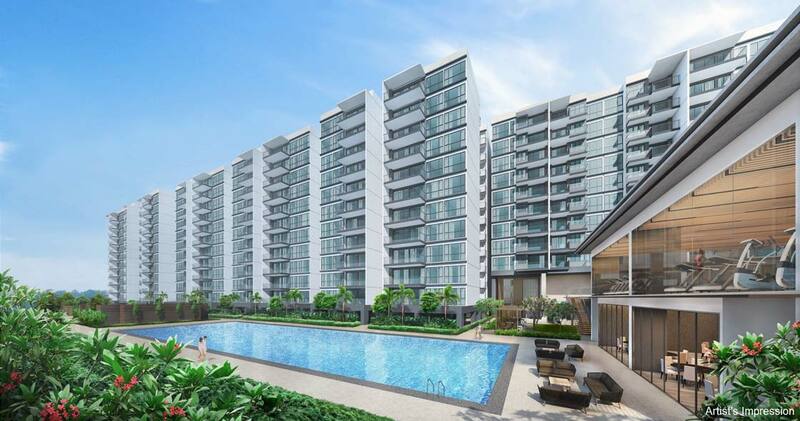 Treasure at Tampines is a new condo project located in District 18. Occupying the former site of Tampines Court, the project offers a curated suite of premium one bedder to 5 bedder apartments to luxuriate in. The condo development has a large site with 2,203 units distributed amongst 29 towers. With utmost care in tower placement and unit facing, expansive views are accorded to most units. The full condo facilities and landscaping are strategically planned to perfectly balance usage density and provide aesthetic views for internal facing units. At 12 storeys tall, Treasure at Tampines epitomizes the pinnacle of highly optimized high density living whereby towers will not have proximate distances. Apartment unit layouts are thoughtfully planned to exude a comfortable and efficient sense of space that bespoke luxurious premier residences. Living largely and grow in the expansive comfortable space. The lifestyle of the active-minded and the family-oriented are well served by the thoughtfully designed functional apartments layout. Create abundant precious memories within the tranquility of a beautiful home where happiness, hope and love can blossom. Treasure at Tampines warrants the peruse of the seasoned property investor. It is well located within Tampines Regional Center, one of Singapore’s non-city center business and residential node that is breaming full of work and education opportunities, mature estate amenities and transport conveniences. A self-contained work and play environment for residents and expats alike, Treasure at Tampines is a safe location for investment. Book An Appointment to view Treasure @ Tampines ShowFlat & get VVIP Discounts (Limited Time), Direct Developer Price, & Hardcopy E-Brochure. Guaranteed with Best Price Possible. Fill up the form on the right and get a copy of Treasure @ TampinesPrice, E-Brochure, and Latest Updates!